Kids are naturally curious and love exploring the world around them. Any new fact you can teach them is received with wonder, but the lessons they learn through experimentation and observation are even better. 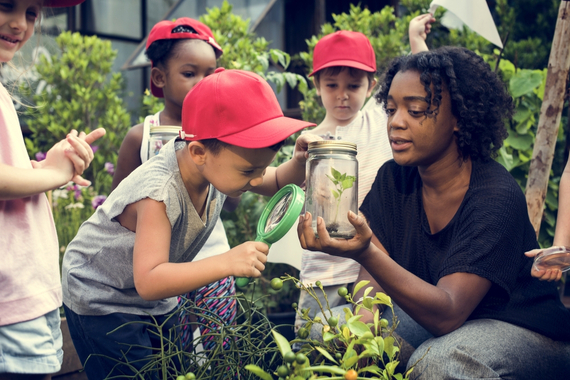 Introduce your kids to the joys of science with these super-fun activities that will get them far away from their screens and into the great outdoors. Introduce your kids to the magic of metamorphosis as they observe a caterpillar transform into a butterfly. Go on a hunt for caterpillars through the garden or a nearby park. When you’ve found one, put it in a clear plastic container – don’t forget to poke holes in the lid for air – along with twigs and leaves from the plant it came from. Add more fresh leaves daily and, after a couple of weeks, the caterpillar should form a chrysalis, from which it will emerge, after seven to 10 days, as a beautiful butterfly. Art and science collide in this very easy experiment, which will enchant children with its almost-magical result. Select a pale- coloured flower with a stem (white carnations are a good choice); trim the stem and place the flower in a cup or vase filled with water and a few drops of food colouring. Over time, the flower petals will begin to change colour, demonstrating how plants absorb water, not just from the air around them, but by sucking it up their stems. 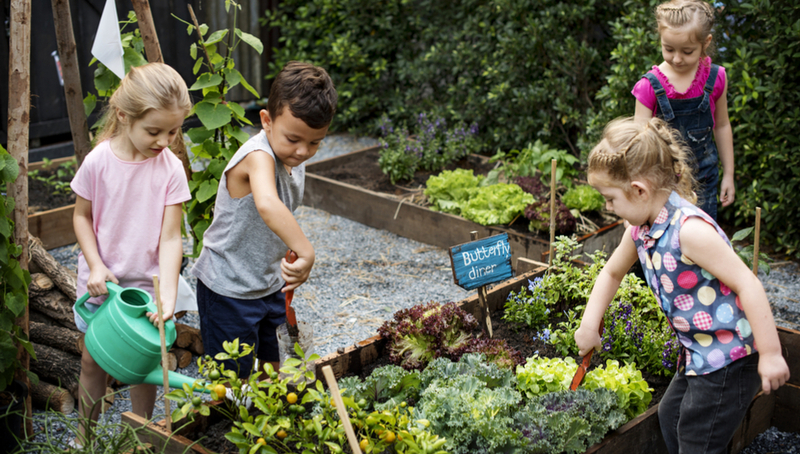 We know that worms are an integral part of the backyard ecosystem, but what exactly do they do, hidden away underneath the surface? This fun experiment will help your kids find out. Start with a clear plastic container and fill it with layers of soil and sand. Add a little water, then top the lot with dead leaves. Now the fun part: go digging in the garden and find some earthworms. Add them to the worm farm, then tape dark fabric or paper around the sides of the container to create a worm-friendly dark environment. Add a trickle of water every day to keep the farm damp. After two or three weeks, take the paper/fabric off and you should be able to see how the worms have mixed up the layers of sand and soil, and created tunnels. This is a two-part experiment, with the first step involving the kids making their own microscope. Take a plastic cup and stretch a sheet of cling film over the top, securing with a rubber band, then pour a small amount of water onto the top of the film – it will act as a lens, magnifying anything you put inside the cup. Then set the kids loose in the garden to gather specimens: leaves, flowers and bugs (don’t leave the latter in the cup without air). 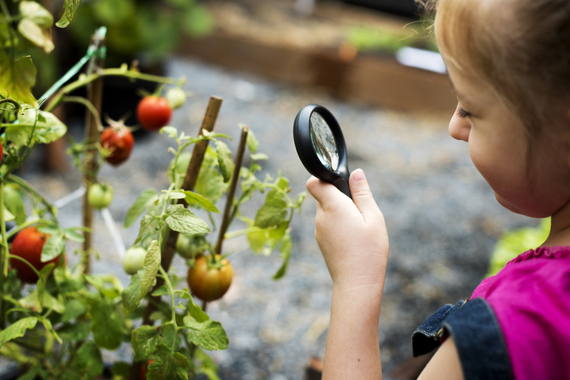 Younger kids might be happy to just look or perhaps draw their findings, while older kids will love researching and identifying the parts of each bug or bloom.